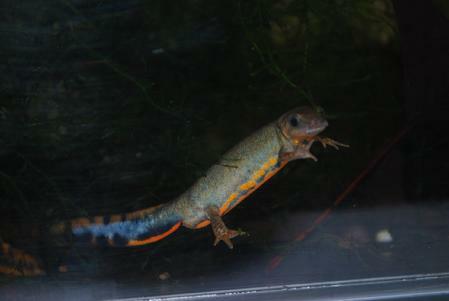 The Blue-Tailed Fire Belly Newts are salamanders indigenous to Japan and China. Like most other ‘fire belly’ newts, these amphibians have a brightly-colored belly, while the males of the species exhibit a bluish tail during the breeding season. They eat very little, once in every three days.